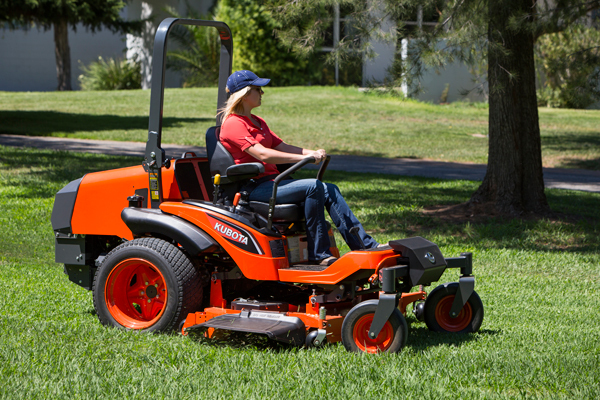 To ensure superior cutting performance, even at faster speeds, Kubota’s newly developed, 5.5″ deep, heavy duty pro-mower deck is built to withstand long hours of mowing operations. 26hp, 3 cylinder diesel engine. 60" cutting deck, rear discharge as standard wtih side discharge as a special order. Commercial spec machine offering excelllent power, durability & performance. Hands free hydraulic deck lift. Comfort seat with suspension, lumbar support and reclining dial. Pro commercial mower deck with a flat design & new baffling system, which forces grass through all 3 blades. Dial height adjustment in 1/4" increments ranging from 1" to 5". Maintenance lift allowing the deck to be flipped up for easy cleaning, repairs etc. The GZD answers all the needs of experienced professionals and beginners thanks to their high manoeuvrability. These zero-turn diesel mowers of 15 and 21 HP combine an unrivalled manoeuvrability with an ultra-efficient cut and collect system, with either ground level or elevated catchers. 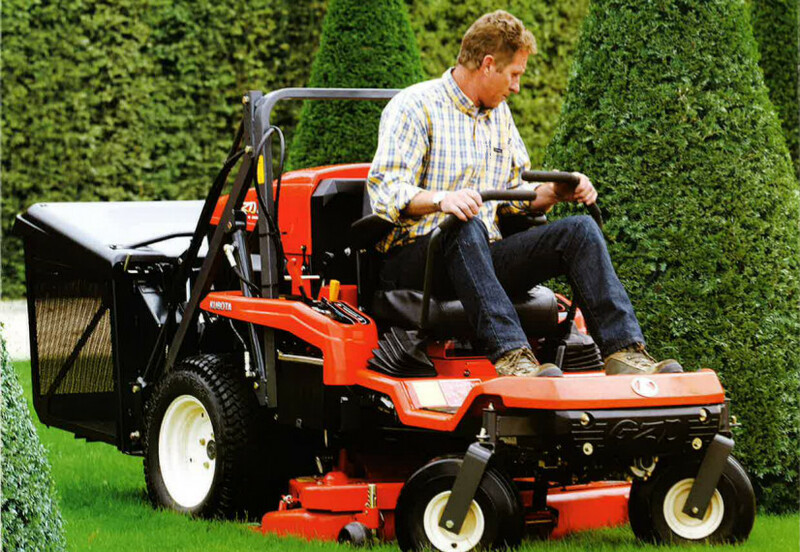 The GZD15 has a two blade 107 cm mower deck, while the GZD21 sports a three blade 122 cm mower deck. 42" / 107cm cutting width. Dial cutting height adjustment 25mm to 102mm (63mm increments) & 102mm to 127mm (126mm increments). Twin blade Glide Cut system for improved productivity. Deck can be raised to 135mm for improved ground clearance over kerbs etc. Available in hydraulic low & high dump versions. 48" / 122cm cutting width. Three blade Glide Cut system for improved productivity. Deck can be raised to 145mm for improved ground clearance over kerbs etc.